The controversial BBC Storyville film was originally scheduled to air Sunday — on International Women’s Day — but was brought forward to air on Wednesday night amid an “intense level of interest” according to the British broadcaster. The documentary opens with an eerie reconstruction of the fatal night in December 2012 when the 23-year-old physiotherapy student boarded a bus with her male companion at a major intersection in South Delhi. The focus then switches to the furious street protests that swept the country in the wake of the incident. The film shows intimate conversations with the parents and a close friend, as well as family photographs of the victim as a child and their accounts of her charitable personality and career ambitions. But it’s the interview with one of the accused — Mukesh Singh, the driver of the bus where the attack took place — that has touched a raw nerve. Perched on a stool in a prison cell –where he is awaiting a death sentence for his role in the attack — Singh lays the blame for that night on the victim, and makes derogatory comments about women and their place in Indian society. He does not flinch when filmmakers describe her gruesome injuries to him. #IndiasDaughter was depressing. What will it take to change the endemic sexual violence of India? But aside from the horrific details of the incident, the film attempts to look at the bigger picture. In one scene, an Indian justice describes how she has been unable to make sense of such a brutal attack. In another, a former Delhi minister places the blame on a society that puts girls and women second to men from the moment they are born — one where patriarchal practices become ingrained in children from an early age. “These were ordinary, apparently normal and certainly unremarkable men,” the film’s director Leslee Udwin said of the culprits. But her film illustrates how even people with power in India harbor shockingly similar attitudes. One of the lawyers who represented the attackers is seen in the film saying that he would burn his own daughter alive if she behaved dishonorably. 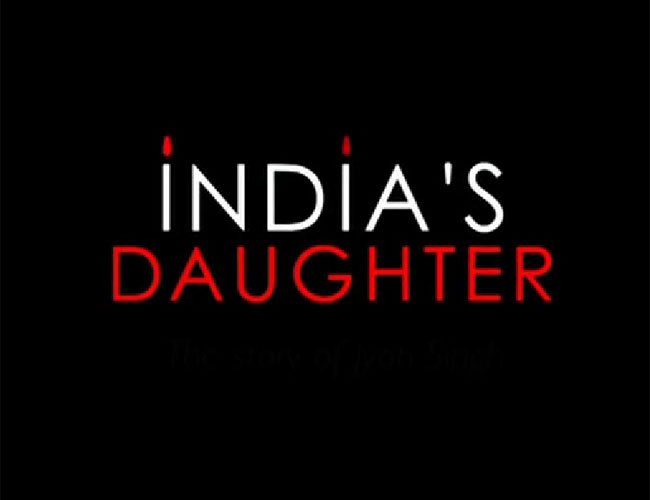 #IndiasDaughter draws attention to the tone deaf film title. Women are citizens, citizens with rights. Not daughters, sisters, mothers. Another defense lawyer for the men is seen gesturing with his hands as he describes women as flowers who must be protected by men, “diamonds” who face inevitable assault if they end up in the wrong places. Udwin speaks to the parents of the accused, as well as the wife of one of the men. She shows how poorly they live, in makeshift brick houses loosely covered by plastic sheet roofs. She chronicles the crowded slums where the men last dwelled before they were arrested. An expert tells the filmmakers that violence against women is a common occurrence in such societies. One psychiatrist claims in the film that there are men in jail who have committed 200 rapes but penalized for about 12. Singh, the driver on death row, tells the BBC that bigger crimes have been committed than one he took part in — such as victims being burned alive — crimes that have gone unpunished. An advocate of the Supreme Court says the responsibility for change is on the shoulders of society. And a former chief justice says education, spearheaded by the young generation, is key. The closing scenes include flames engulfing a funeral pyre, and the voice of the student’s father, who says that her death has become a global symbol — and hopefully, the start of change.